Yes, every car needs a navigation system, but from whom? Let’s all agree on one thing – the people who make cars would really like to stay in control of everything that has to do with their cars. They are not now and never really have been in a sharing sort of mood. Car maker product managers don’t want to give up either the entrainment links nor the key information in their vehicles. The reason for this is that they view the dashboard in their cars as being a reason that someone will buy one of their cars. There is also the possibility that down the road car maker product managers see an opportunity to make money by selling information about the driver that the car has collected along with providing mobile connectivity. Now that would look nice on a product manager resume! Even though more and more of their customers now have either Apple or Android phones that can do a lot of the same things that built-in car dashboard systems can do, the car makers rightly point out that not every customer is going to have an Apple / Android phone (can anyone say Blackberry?) Every car maker would like to be able to rely on their own in-house developed system in order to maintain a link with the people in the car. One of the advantages that car maker product managers have is that they know their cars better than anyone else. What this means is that when they are designing their own in-car entertainment and navigation control systems they have the ability to link them to the buttons on the car’s steering wheel. Additionally, the car manufacturer’s systems will continue to work well in areas that have poor cell phone reception. Finally, the car manufacturer product managers can make their system hook into other parts of the car such as the car’s heating and air-conditioning systems. So what is the big problem here? The car manufacture product managers are working to add more and more functionality to their in-car navigation and entrainment control systems. However, they might be fighting a losing battle here both Apple and Google have created software products that are designed to work with cars to automatically connect to their phones. The Apple product is called CarPlay and Google’s is called Android Auto. Both of these products are designed to control a car’s dashboard display. The people who monitor such things believe that even though CarPlay and Andrioid Auto have only recently become available, they could be in 80% of new cars by 2022. The car manufactures are in direct competition with Apple and Google for mind-share inside of the vehicle. One of the areas in which both Apple and Google do a better job than car manufactures is in voice recognition. The cell phone products are able to use cloud based computing and this is where car manufactures who can only use car based resources won’t be able to compete. What has happened is that the car manufactures have spent a great deal of money over the past few years creating their own in-car systems. Now what they are discovering is that their customers are showing a preference for systems that are more tightly integrated with their specific brand of mobile phone. The reason for this is because the control system has been customized to use all of the features of the mobile phone. At least one car manufacturer agrees. Hyundai Motors has announced that they will be abandoning their own in-car system and instead installed Apple and Google’s products. As product managers, based on our product manager job description, we’ve always been taught to believe that our product is the best. We work very hard to understand what our customers are looking for and then we create or modify our product to best meet their needs. Car manufacturer product managers are facing a problem: the in-car navigation and entertainment systems that they have developed are under assault from Apple and Google. Apple has created a product that they call CarPlay and Google has created Android Auto. Both of these products do the same thing as the car manufactures in-car systems do. However, in some areas such as voice recognition they do a better job because the systems have been able to be customized to work with the mobile phone that the driver is using. The predictions are that in a few years, all new cars will come with both CarPlay and Android installed. 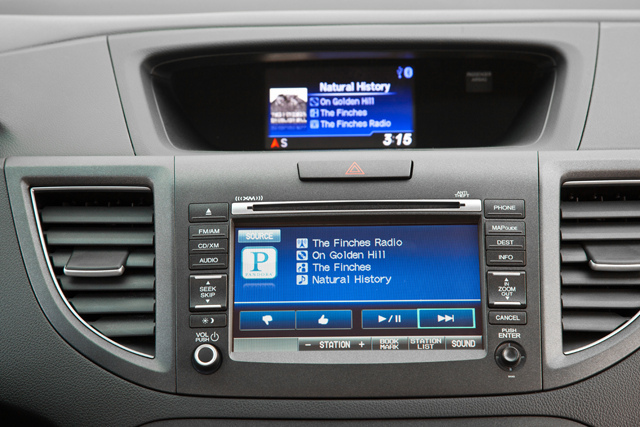 Hyundai has already discontinued their in-car system and will be using the Apple and Google products going forward. As product managers we need to understand that we operate in markets that are always constantly changing. What this means is that there is always the possibility that the need for our product may go away because the product development definition changed and because of the arrival of a different and better product. If this happens, we need to realize it as quickly as possible, adjust to the new market realities and then find ways to enhance the new solution that our customers will now be getting. Let’s watch and see what those Hyundai product managers do! Question For You: If you were a Hyundai product manager, how would you customize your standard solution? Hopefully everyone already knows that Walmart is a huge company. Just about every city in America of any significant size has a Walmart located in it. The Walmart product managers have a lot of different challenges that they have to worry about, but one that you may not have been aware of is the need to get people to give them more money. These product managers want to make it easier to buy things when you are at a Walmart. What’s their solution to this problem? There’s an app for that…!